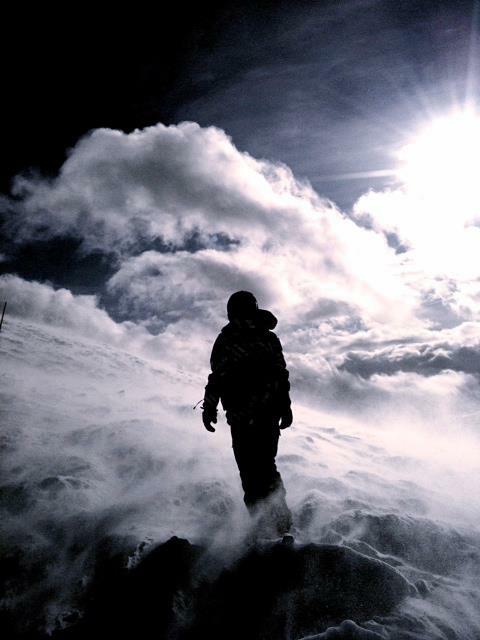 This – beautiful – image embodies to me the Lift experience, taken in its broader meaning. It was taken at Lift Marseilles, here’s the breathtaking slideshow by centralasian, whom I borrowed the image to. It was part of the “Atelier des Ondes Parallèles“, by Etienne Rey. At Lift, beauty is omnipresent. Like in front of this image, you feel inspired, beauty opens out all of your censors, you are more receptive, open. Lights shed on things make emerge unsuspected shapes, colors. You start seing things differently, under unusual angles. A connection can be made through intellectual analysis as well as through emotional or human interaction. Like this suspension, it is moving and you move along, you follow a movement, without knowing precisely where this will lead you to. Under its light, the prism of colors will overlay over your skin, like a superficial metamorphosis, but, once back to normal daylight, its effects will dive deep into your roots. The roots of a slight transformation. The link between beauty and connection is one convergent track I strongly believe in. And transformation takes birth at a converging point between beauty and connections, where sharing could be seen as one of the underlying links. All the heart of the theme: Connected People. Being more and more connected, not always only with positive aspects, I am very curious and open to what will come up during these 3 days. For my 5th Lift Conference, I’m ready for letting the transformation go one step further. And you? Will you be at #lift10? what are your main expectations? Hopes? Don’t Buy Me a Hoover, Darling! The trend started a couple of years ago, when a woman would’ve got an iPod for her birthday. Something that she’d call “technology”. But was like a jewel: beauty, design, emotion. It’s been a turning point. At this time, I don’t know about any revolutionary impact of the iPad on society, uses, business models or whatever. But I have the feeling that women will like it. Particularly because men seem to think that their wife will like it! (follow link to see the search on Twitter for “my wife ipad”!). Isn’t it a sign of times changing? Are we witnessing a slight social shift? A breath of freedom for women?